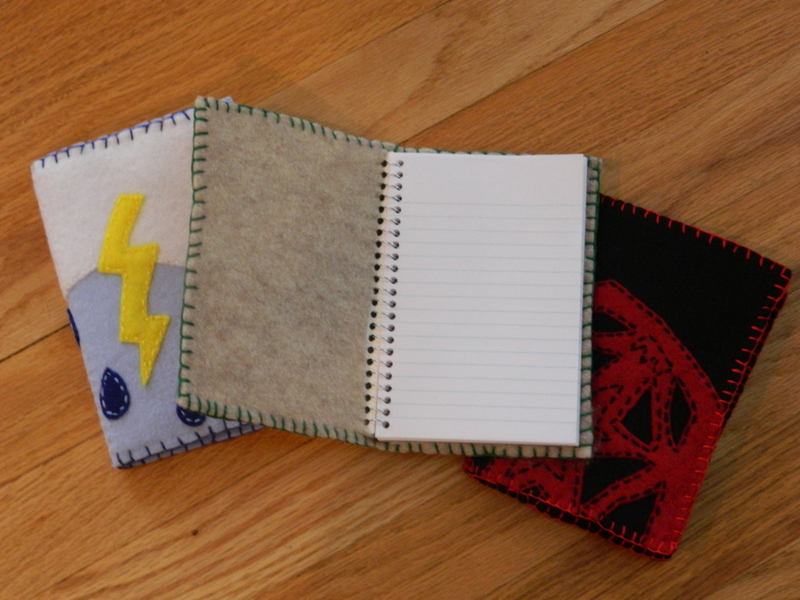 I am slowly wrapping up the original “To Get Done” list. This was item number 17. This took a while just simply in terms of collecting all the components. 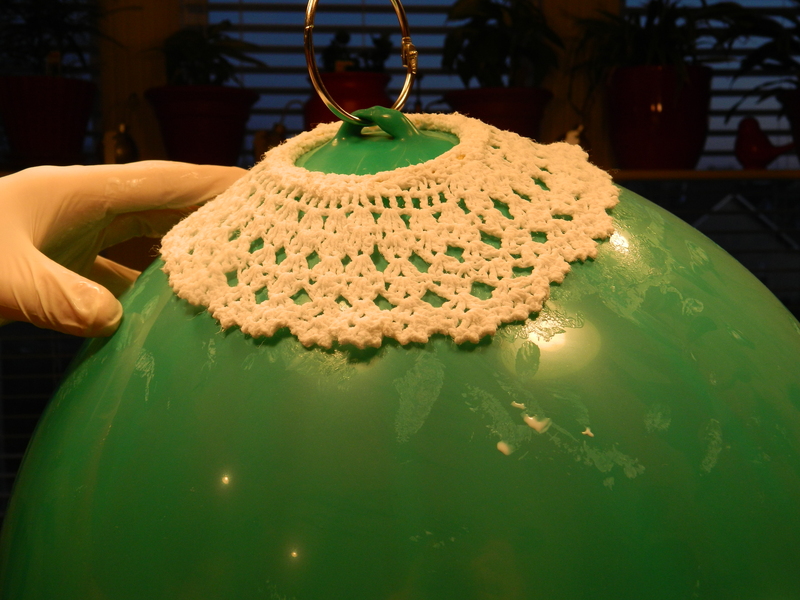 I used a large 20″ diameter balloon to act as the mold. I actually used a balloon that was defined as a punching balloon, given that it was much stronger and would stay inflated during the process. It also provided a built in handle to hang the balloon from. 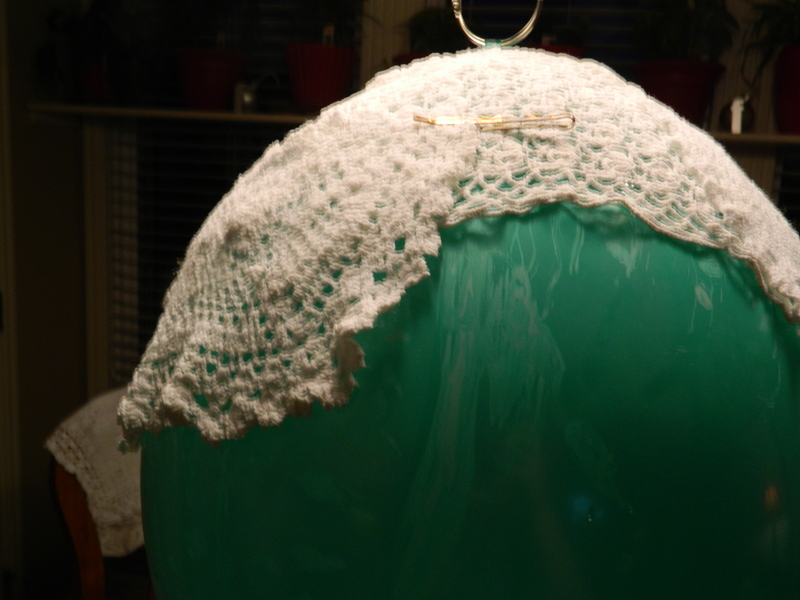 So, once I inflated the balloon and hung it from the dining room light fixture, I started with the initial doily. I cut out the center and then sewed it around a 3″ metal ring. This provided the opening for the light fixture to be added later. 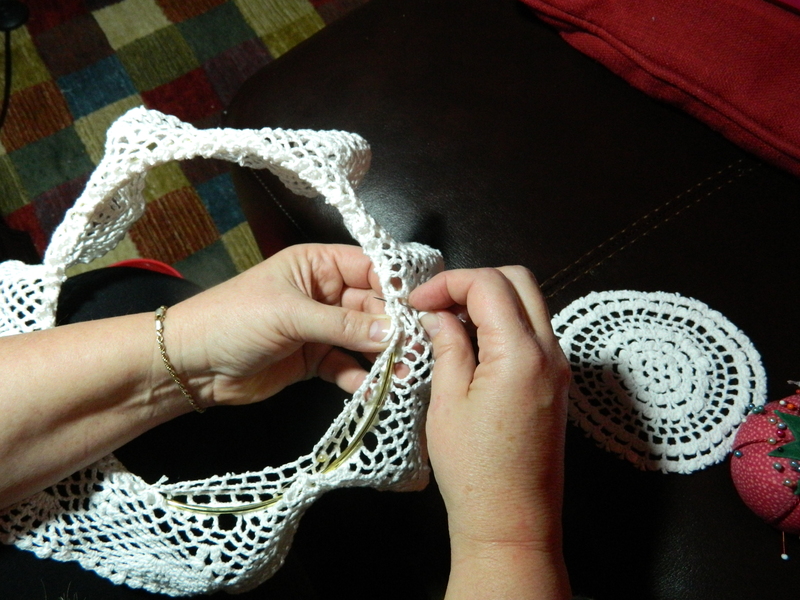 I then soaked the doilies in fabric stiffener and carefully layered them so that they overlapped. This can be messy, so wear plastic gloves and lay paper down to catch drippings. 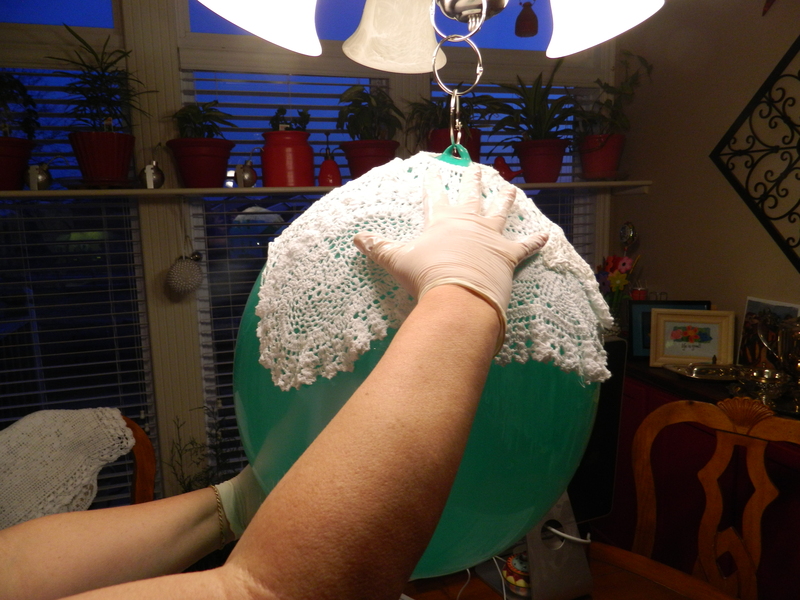 I did the top half of the balloon, let it dry overnight and then flipped it upside down and completed the bottom half. 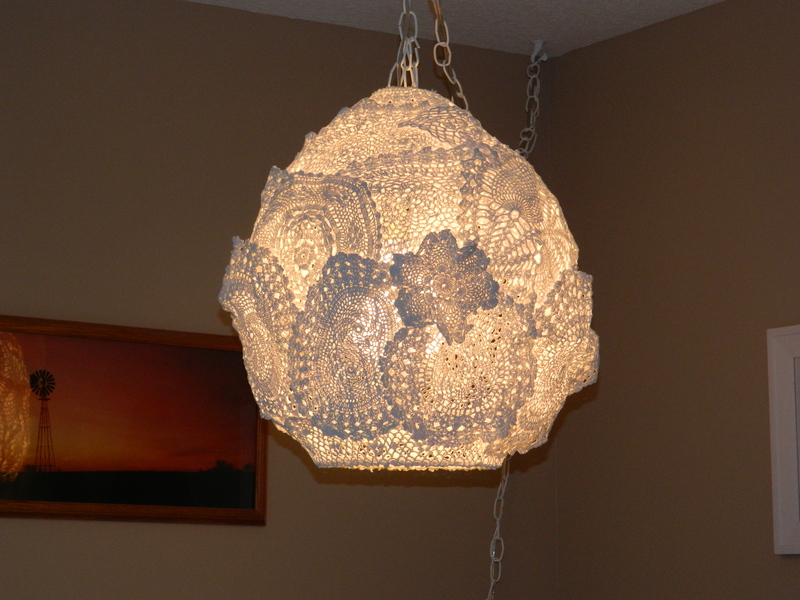 Again, I cut a larger doily and sewed it around a larger metal ring to act as the opening of the shade. 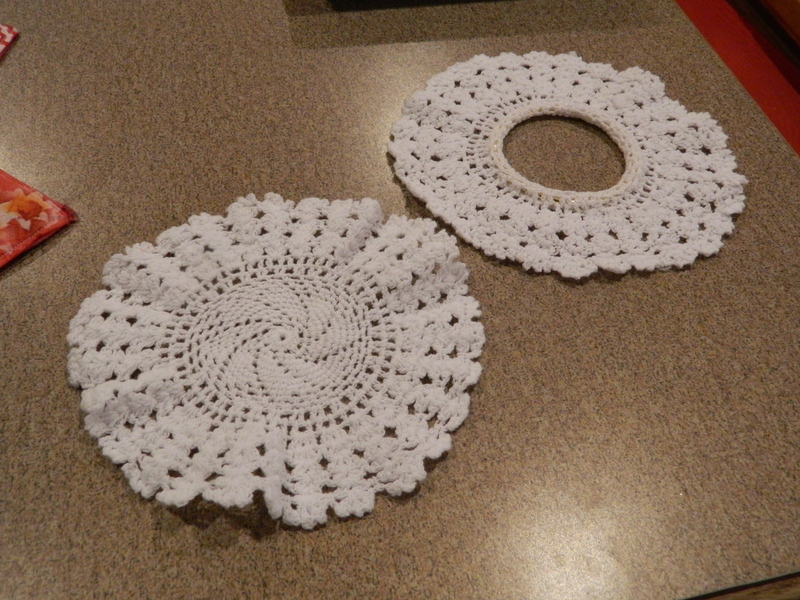 Since the doilies tended to get heavy when they were soaked, I used large bobby pins in some spots to hold them together. You have to be careful when doing this, as I ended up in a few places where the metal came in contact with the solution and left a little rust stain. If I did this in the future, I might use pins that had plastic coats to prevent the rust. Once it had been fully completed, as an added measure of protection, I sprayed the entire thing with a couple of coats of clear vanish. This gave everything a nice even coat and stiffened up areas that were less dense. 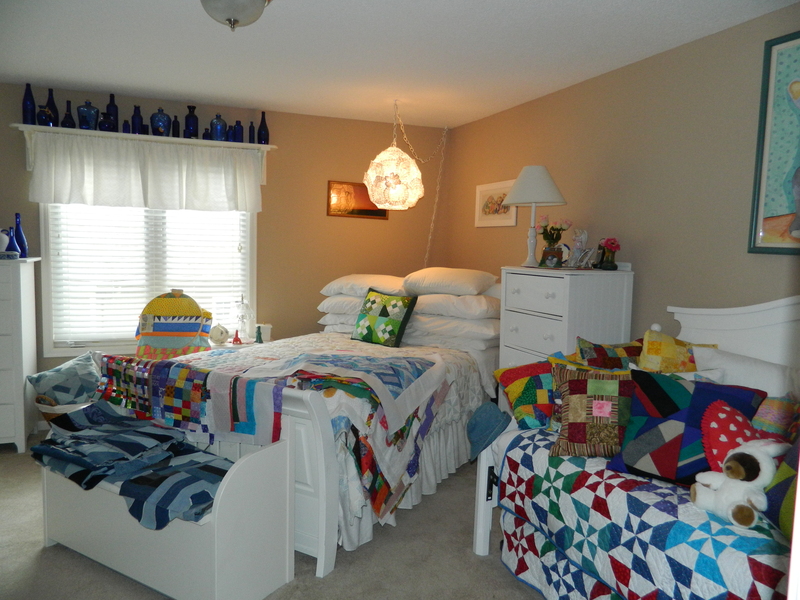 Then it was just a matter of adding the light fixture and a swag chain (found the kit at Home Depot) and installed it in the guest bedroom. There were already some touches of lace, so it was a nice finishing touch. 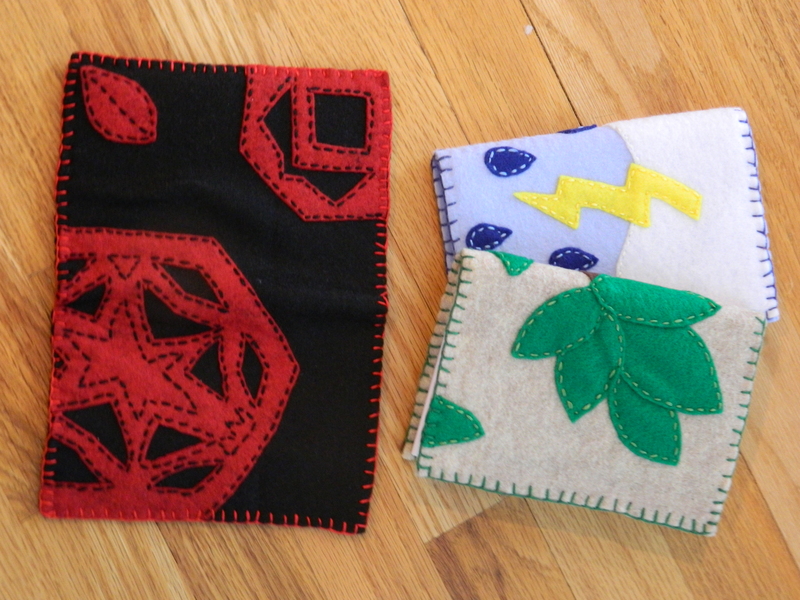 It was just a matter of a straight stitch around whatever objects places on the face and then a blanket stitch around the outside. I cut a slit down the inside center and slipped the covers nicely into it. 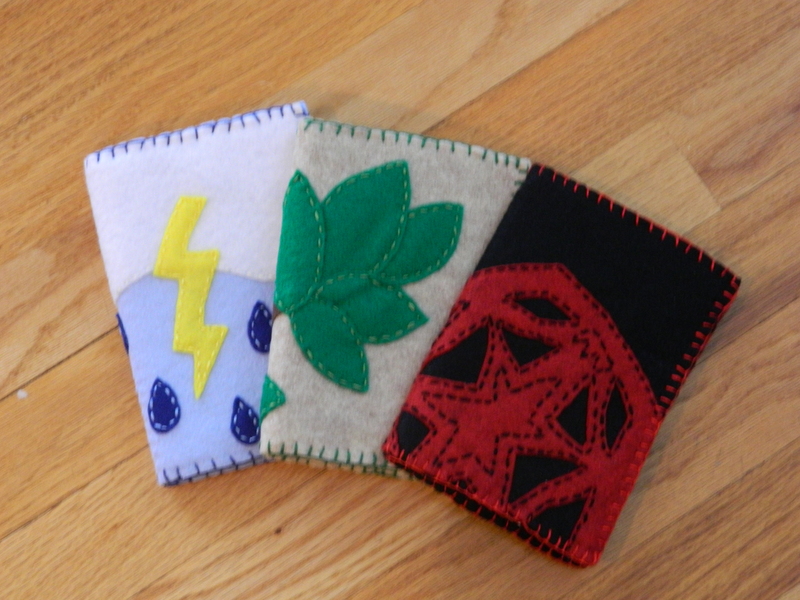 I will probably make a few more of these in different styles and colors and just leave them for people. Maybe brighten someone’s day.